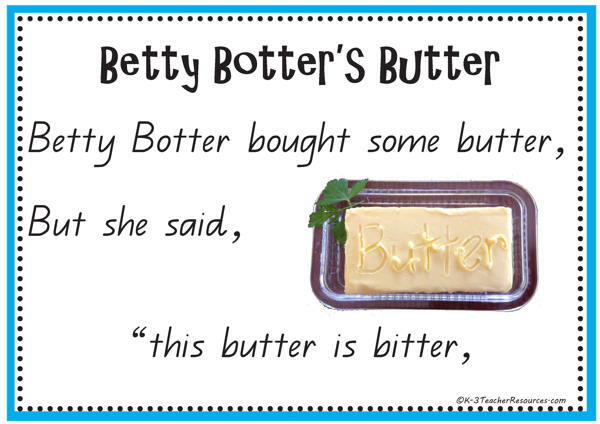 Betty Botter Tongue Twister Rhyme…. Another Oldie but a Goodie ! My kiddies and I had a ball changing all the ‘ b s ‘ into other consonants – loads of Playing with Words fun !